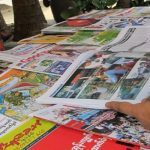 (YANGON, October 12, 2018) – The Government of Myanmar should immediately drop criminal defamation charges against three Eleven Media Group journalists, Fortify Rights said today. On October 9, Myanmar police arrested journalists Min Lwin (also known as Nayi Min), Kyaw Zaw Linn, and Ko Phyo Wai Win for publishing a story alleging officials mismanaged public funds through dealings by Yangon Region Chief Minister Phyo Min Thein. Director of Yangon Region Government Aung Kyaw Khaing had filed a complaint against Phyo Wai Win, Nayi Min, and Kyaw Zaw Linn at the Tarmwe Township Police Station, alleging violations under section 505(b) of the Myanmar Penal Code for the publication of a news story on October 8. The story alleged that the Yangon Region Government misused public funds and that three government ministers held public funds under their personal names. Section 505(b) of the Myanmar Penal Code vaguely prohibits anyone from publishing or circulating any statement, rumor, or report that may cause “fear or alarm to the public or to any section of the public whereby any person may be induced to commit an offence against the State or against the public tranquility.” Punishment may include two-years’ imprisonment, a fine, or both. 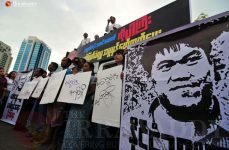 On October 10, Police Officer Thein Win from the Yangon Police Force confirmed the charges against the three journalists. The same day, the Tarmwe Township Court ordered the three journalists detained at Insein Prison. Their next court appearance is scheduled for October 17. The defendants’ lawyer was reportedly unable to access his clients, preventing him from acquiring the necessary signatures to request bail and review relevant court documents. 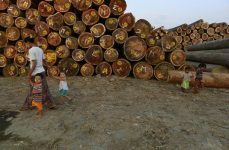 In November 2016, the chief executive and another editor of Eleven Media Group were detained for almost two months under section 66(d) of Myanmar’s Penal Code in relation to an editorial alleging Yangon’s Chief Minister may have corrupt links with local business people. Charges against the journalists were subsequently dropped. 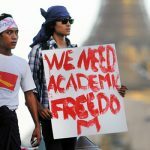 Under international law, restrictions on freedom of expression are permissible only when provided by law, proportional, and necessary to accomplish a legitimate aim. Criminal penalties for defamation, including imprisonment, constitute a disproportionate punishment that infringes on the right to freedom of expression. 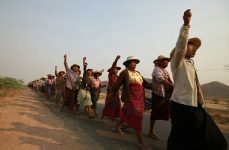 The Government of Myanmar should immediately and unconditionally release all journalists arbitrarily detained for engaging in legitimate activities as members of the press, said Fortify Rights. 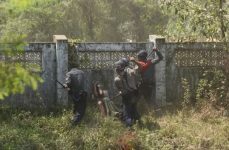 On December 12, 2017, the Myanmar authorities arrested and detained Reuters journalists Wa Lone, 32, and Kyaw Soe Oo, 28, in connection with the journalists’ involvement in investigating a massacre of 10 Rohingya men by Myanmar security forces in Inn Din village in northern Rakhine State on September 3, 2017. 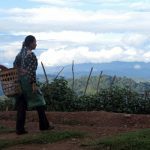 On September 3, 2018 the Yangon Region Northern District Court convicted and sentenced the pair to seven years in prison for violations under the colonial-era Official Secrets Act.